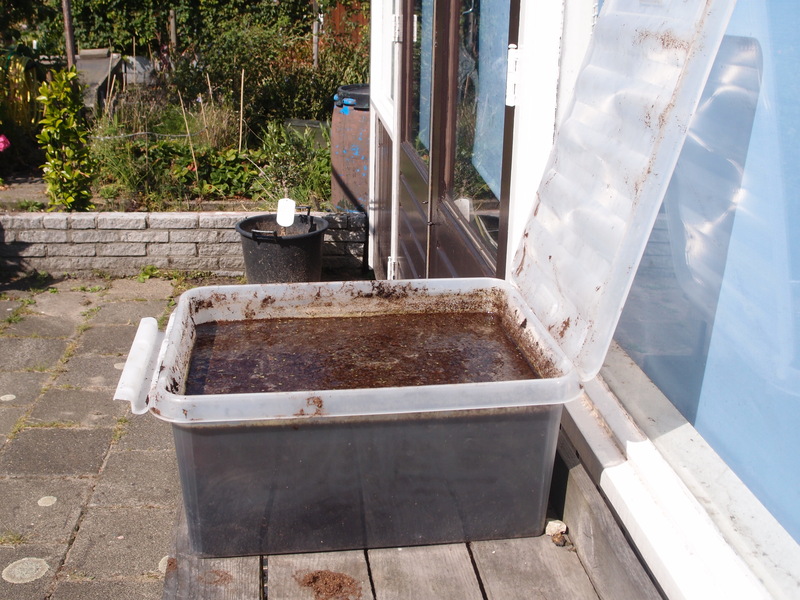 Peat is what we need, as substrate for the Austrolebias parents to lay their eggs. Instead of boiling it (which I sometimes do in a rice cooker), I just heat it for a few days in a tank in full sun. 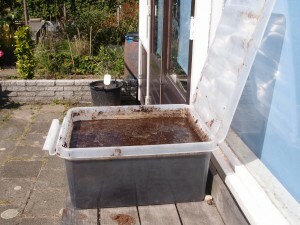 The peat sinks after warming up sufficiently, and I use it straight away. This entry was posted in Incubation, Maintenance, No category by tvdooren. Bookmark the permalink.